Despite many research and scientific publications in the field of water science, there are still unresolved, or at the best only partially explained, phenomena. One such is a long-term and long range dynamic arrangement of water molecules which also includes the so-called »water memory«. 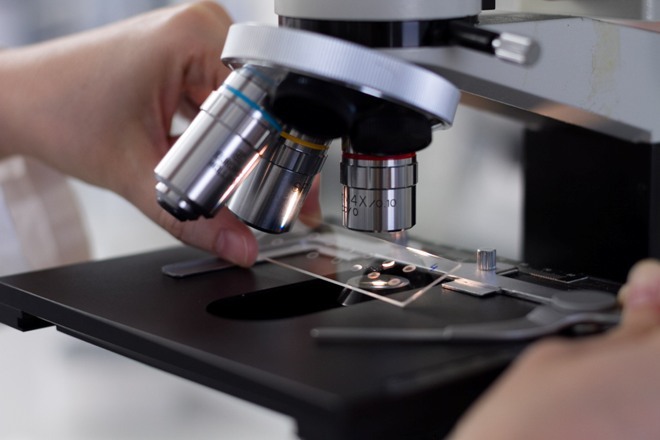 BionEvapo® method is a standardized scientific method, based on dark field microscopy of solid remnants of dried water drops. It is supported by an appropriate computer software and statistical analysis. Results of decades of foreign and our research show that the dynamic or implicit structural characteristics of water, including a specific mineral composition or a certain energy impression, may be transferred to and expressed in the texture of mineral residues after drying (evaporation). 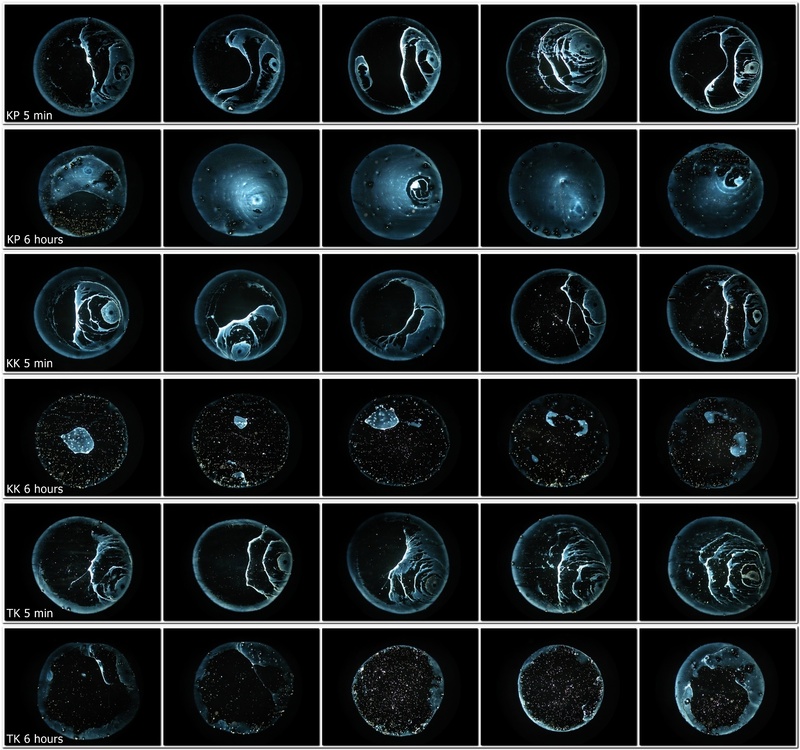 Therefore, we can use the BionEvapo® method for observing the implicit structural changes of water (due to various factors), which are only rarely, if at all, approached by conventional methods. With new findings, we continually upgrade and update the methods of computer analysis of mineral residue's textures. the energy impact of products and devices for energizing water. glasses, plates, bottles, dishes, mugs, mats, crystals, vitalizers ... etc. the (bio)energy or directed impact of therapists or individuals on the water. 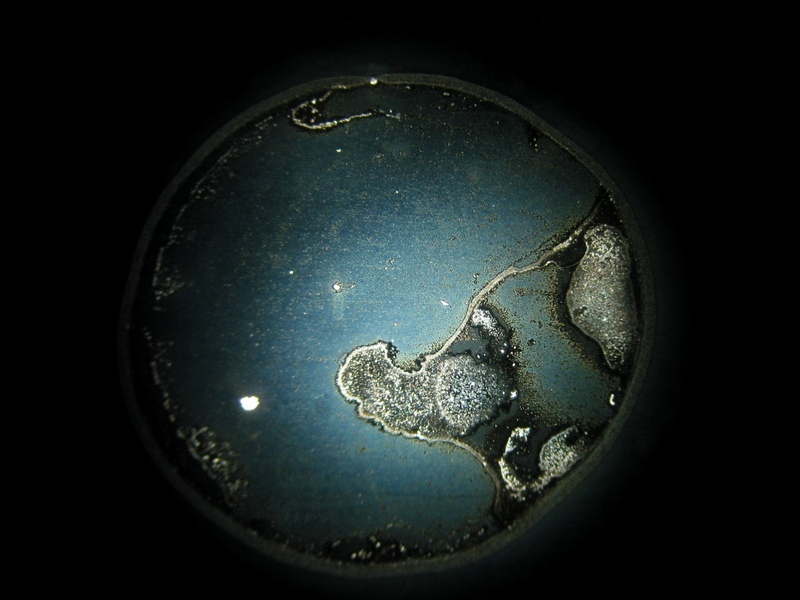 The method is based on observation of the dried water droplets by using dark field microscopy. 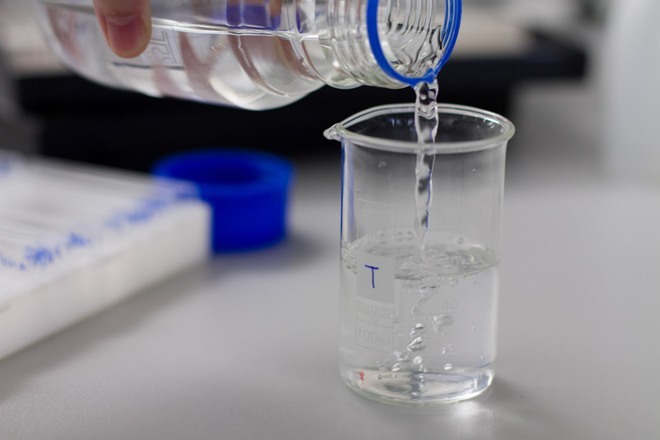 The control and test samples of water are prepared in beakers. 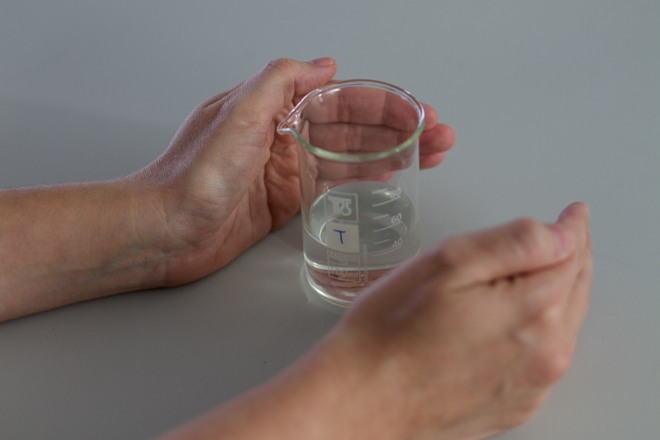 The test water samples are subjected to the action of tested product or therapist. 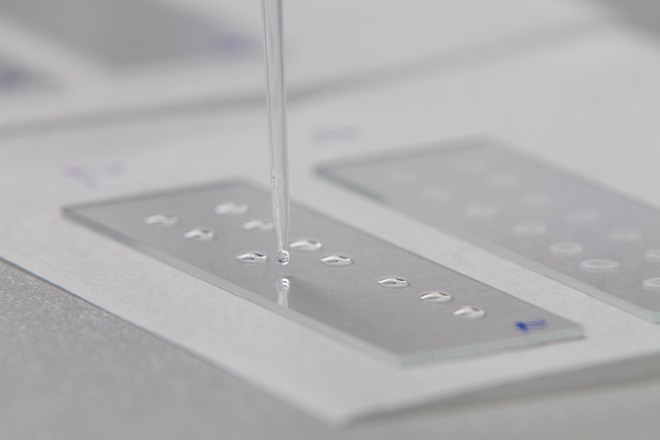 From control and test samples, droplets are prepared on the microscope slides before and after the influence of therapists or products on water at various time intervals and dried under controlled conditions. 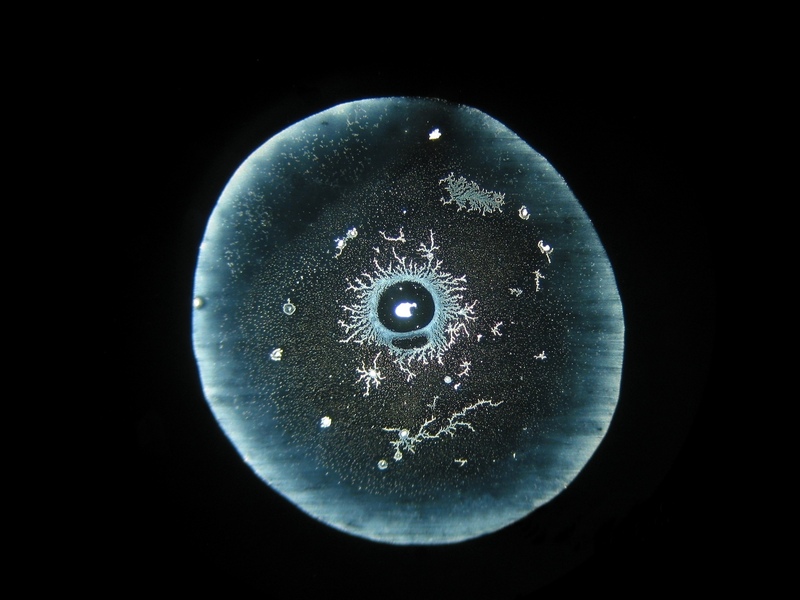 Mineral residues/remnants of dried droplets are observed under a microscope and photographed (they are called evapo photos). Evapo photos are processed, and the texture of dried residues/remnants analyzed with specially developed computer programs. 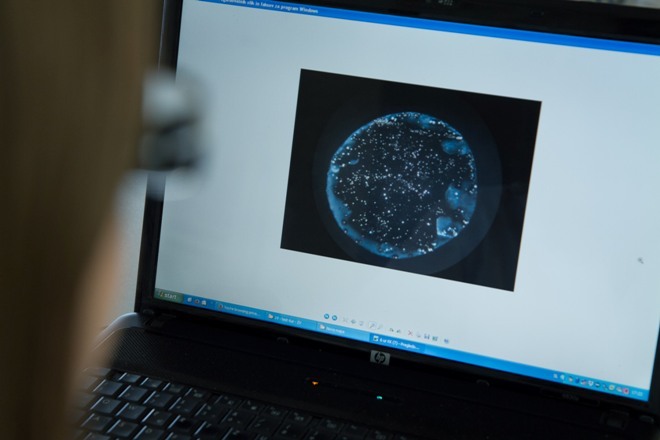 Evapo photos and the results of analyses of the textures of the test samples mineral residues are compared with controls and statistically evaluated. Considering differences in textures, we can conclude that some changes occur in a sample of water exposed to different influences. We process photographs; we analyze textures of dried drop remnants with specially developed computer programs and evaluate the results statistically. What is the capacity of water to reflect the impact that conventional science is not yet able to determine and measure. Does a particular machine, glass base, pitcher (mat) or bottle objectively modify the standard structure of water? How is the therapist with his/her supposed (bio)energy impact capable of significantly altering the form of dried water droplets. 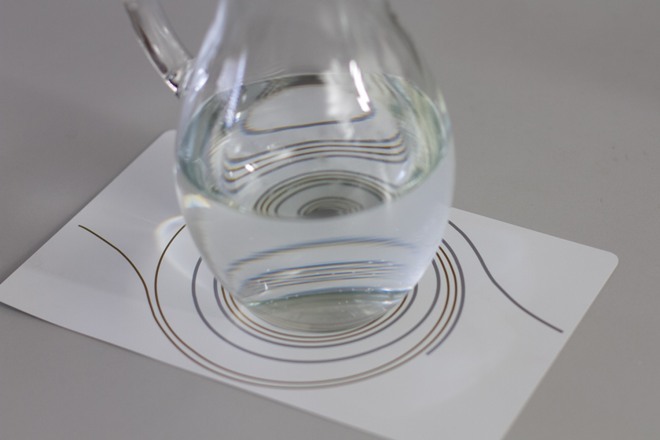 BionEvapo® method reveals the dynamic and implicit structure of water. All text, pictures, and other material on this website are subject to copyright. Copyright © 2018, Bion Institute.